Moving on from Burks’ celebration of our Scouting Ministries and the Pinewood Derby February 10, Pack 3266 held its annual Blue and Gold Banquet February 25. March activities include a March 4 Pack meeting and a March 11 cross-over ceremony, as our older Webelos move on to Boy Scouts. Troop 166 also is staying quite active, with youth patrol leader training February 18, merit badge colleges at Chattanooga State and Cumberland University March 16, the Sequoyah District Camporee March 22-24, and an April camp-out at the Sasquatch Museum at Cherry Log, GA. Come join us any Monday evening at 6:45 to get in on the fun! This entry was posted in Pack 3266, Troop 166 on February 26, 2019 by Robert Wilson. Troop 166 welcomes Scouts crossing over from Pack 3266. Eight Scouts crossed over recently at a crossover ceremony including ceremonialists from the Order of the Arrow. Thanks to those that helped with the ceremony and welcome to those joining the troop. This entry was posted in Pack 3266, Troop 166 on March 27, 2017 by burksscouts. Did you know the Boy Scouts of America and Girl Scouts of America are two of five civic youth-serving and scouting organizations recognized by the Book of Discipline as ministries of the United Methodist Church? On Sunday, February 12th, Burks and about 5,000 other churches are recognizing the approximately 700,000 youth and adults who are part of the United Methodist Scouting ministry. Burks has sponsored Cub Scout Pack 3266 (currently 101 boys and 27 adult leaders) and Boy Scout Troop 166 (30 young men and 25 leaders) since 1963, and we host a Girl Scout troop with about 15 members. Scouts will help in both services on February 12th, and Pack 3266 will have its annual Pinewood Derby that afternoon. All young men and women (and adult leaders) who are involved in Scouting should proudly wear their uniforms on February 12th to be recognized. Burks’ members will show our appreciation through the time-honored Methodist traditions of a hearty welcome and by sharing food with families of the Pinewood Derby participants that afternoon. More information on how you can help will be available in Sunday School classes February 5. This entry was posted in Pack 3266, Troop 166 on January 27, 2017 by burksscouts. 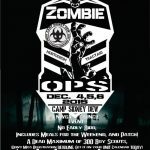 Troop 166 won first and fourth place in the Zombie Ops camporee held at Camp Sydney Dew. The patrols overcame issues both within their patrols and with zombies, coming together to win. They had a fun scary time. This entry was posted in Troop 166 on December 11, 2016 by burksscouts. The Cub Scouts had a wonderful time at Cub and Partner finding Pokemon. 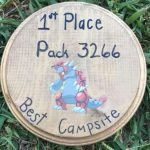 In addition to all the fun, the pack also won the Best Campsite award. Congratulations to all. This entry was posted in Pack 3266 on December 11, 2016 by burksscouts. This entry was posted in Troop 166 on August 2, 2016 by burksscouts. This entry was posted in Troop 166 on July 18, 2016 by burksscouts. Cub Scouts from Burks’ Pack 3266 enjoyed Day Camp based on a Star Wars theme. Additionally, they had a swimming party, and toured Raccoon Mountain Cavern. Later in July, the Webelos, fourth and fifth graders, will attend Webelos Resident Camp at Skymont Scout Reservation. Although Scouts can join at any time, the majority of the new Scouts join Cub Scouts at the start of the school year. Currently, Cub Scout dens utilize almost every available classroom on Monday nights. In May, approximately 70 Scouts advanced to their next Rank. Leaders are trying to figure out how to deal with classroom space issues in anticipation of the upcoming school year and a whole new group of Scouts. This entry was posted in Pack 3266 on July 18, 2016 by burksscouts. 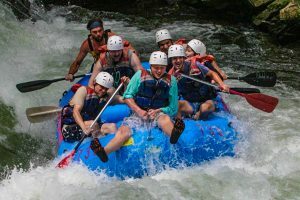 Twenty-four Scouts and four adults attended Summer Camp at Camp Buck Toms in Rockwood, Tennessee. Scouts attended vespers services and other fellowship type activities. The bulk of their time was spent in merit badge classes such as, Lifesaving, Canoeing, Swimming, Archeology, Forestry, Photography/Moviemaking, First Aid, Fishing, Wilderness Survival, Climbing, Astronomy, Nuclear Science, and Robotics. The Cherokee Area Council of the Boy Scouts of America recently awarded Neil Carriker, Burks’ Scouting Coordinator and Council Advancement Chairman, with the distinguished Silver Beaver Award. Introduced in 1931, the Silver Beaver Award is the highest recognition a Boy Scout Council can bestow on an adult volunteer. The award recognizes volunteers for consistent, dedicated service to the area’s youth, both in and out of Scouting. Recipients are nominated by their peers; their application is presented by the local council and approved by the National Council of the Boy Scouts of America. Congratulations to Neil! Burks is unique in that it has several Silver Beaver Award recipients. Others include Ed Bailey, Troop 166 Committee Chairman, Laura Wilson, Troop 166 Committee Member, Robert Wilson, Burks Charter Organization Representative, and Bob Crawford, Troop 166 Advancement Chairman. This entry was posted in Uncategorized on July 18, 2016 by burksscouts. Our mission is to instill in young men valuable life skills, self-confidence, respect for others, and a commitment to serving God and community. The Boy Scout Troop meets in the gym from 6:45 PM to 8:15 PM all year. The Cub Scout Pack follows the Hamilton County school schedule and meets from 6:45 PM to 8:00 PM. Additionally, the pack has several summer activities. In order to provide better care for its members and to assist them in better understanding their own physical capabilities, the Boy Scouts of America recommends that everyone who participates in a Scouting event have an annual medical evaluation by a certified and licensed health-care provider. Download Medical Forms.